Whilst out on an early morning safari at Sariska Tiger Reserve in Alwar district of Rajasthan, India, a group of wildlife enthusiasts witnessed an extremely rare sighting. They had spotted a tigress (known as ST-3) climbing a tree to get at a leopard that was using it as shelter. 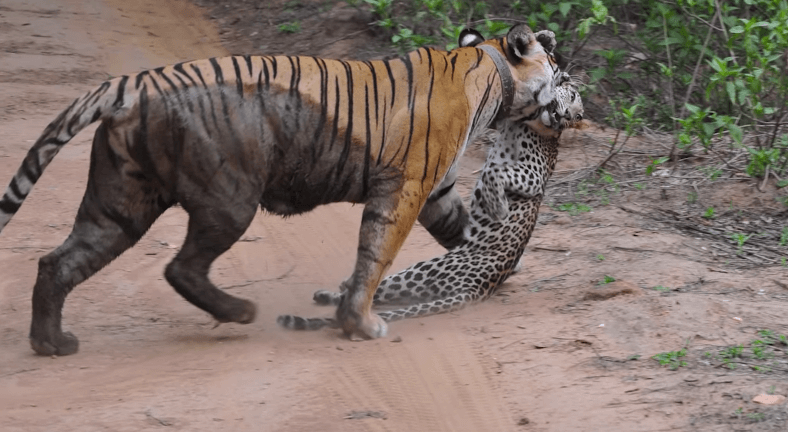 They watched as the tigress, which vastly outsized the leopard, managed to push it out of the tree, pouncing on it as it hit the ground. Elephants are amazingly social creatures, which means they don’t leave a member of the herd unprotected. The death of Nola leaves three northern white rhino alive, two females and one male, all of which are at the Ol Pejeta Conservancy in Kenya. Without their help, the elephants likely would have drowned.